Thanks to Harvard Square Editions for sending their forthcoming publication, Mr Green Jeans, an eco-fiction adventure. The novel comes out March 24, 2016. A married couple throws caution to the wind to help the planet. Traveling from the Midwest to Southwest in a converted VW van, they clandestinely exhibit their earth messages. Their actions soon become viral, and a following erupts. But there are those who want to shut them down, and with that, Jack and Lake Creek’s lives change forever. Chris McGee is a writer whose passion for environment keeps him awake at night and awakens him in the morning. He understands the dire, environmental plight we currently face. 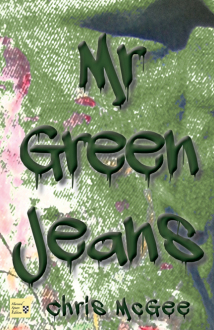 Mr. Green Jeans is the first book in a series with Jack and Lake Creek, steadfast eco-stewards.